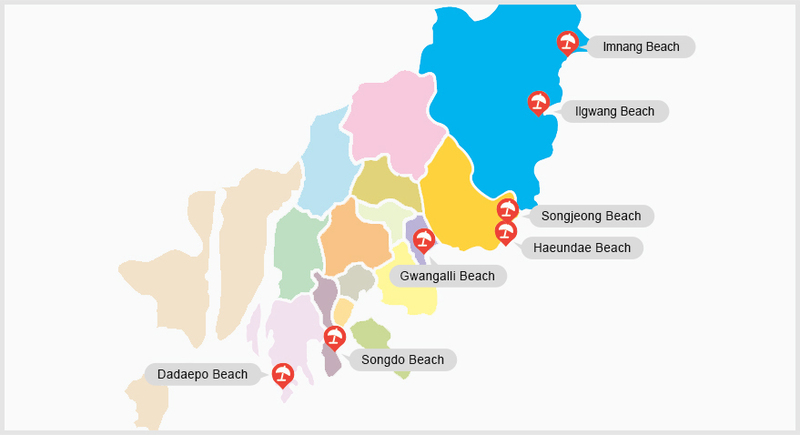 There are seven public beaches in Busan. During each summer season, the city offers convenient facilities, including shower and changing rooms, and lifeguard services for domestic and overseas beachgoers. There are many things to enjoy at the beaches in Busan all year round. They include various water sports activities, sandy strolls, sunbathing, performances, festivals and more. Songdo Beach, first opened in July 1913, is the first public beach in Korea.